Tired of listening to others and not being heard? Do you have knowledge and experience that can be shared with others that can assist in creating solutions to known industry issues? The Mobile Elevating Work Platform (MEWP) Industry is blessed with many experienced, creative and passionate workers who may not have the access to be heard or have their ideas vetted on how we can bring more improvements to the safe and productive use of powered access equipment. That opportunity is here. 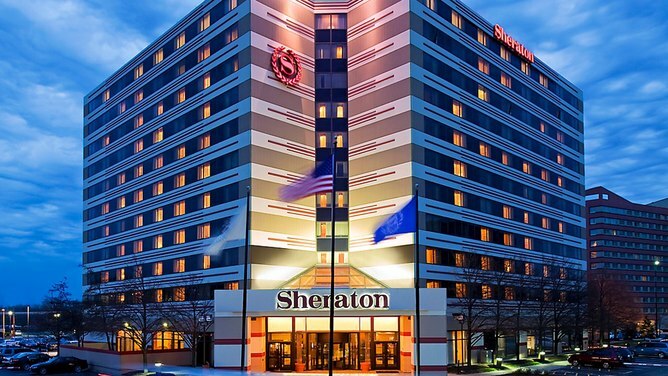 The International Powered Access Federation (IPAF) will host a unique event beginning Noon July 16 and concluding Noon July 17 in Chicago at our INNOVATE 2019 event. All participants will participate in workshops to create/develop a means to improve our industry addressing one of 10 key current issues identified. Mechanics, drivers, sale person, managers, operators – all industry stakeholders have the opportunity to have their voice heard, share their ideas and collaborate with others as equal participants in the creation of industry solutions. Register online now and identify your top three topics that you would LIKE to work on with others and we will try to accommodate all if possible with their selection. Participants will be placed in one of ten teams by topic and together each team will develop a means to improve the industry addressing the topic of the group. Each team will present their result to the entire group who will vote on the best innovation. Networking, sharing and learning, and the opportunity to make a difference are all benefits each participant will gain from attending this event. No sitting for hours listening to others, rather ‘getting your hands dirty’ and directly being a part of ‘getting something done”. The workshop topics will be facilitated by an IPAF North American Regional Council member. Click on each topic for more information. During registration you will be able to choose your preferred workshop topics. We will be keeping the groups balanced and as such, you may not get your initial choices. You will be notified before the event on your assigned group. Electrocution is a known hazard that is a leading cause of fatalities associated with MEWP operations, yet, we have to live with the required source of power to the projects we work on. How can we continue to take better measures to stay clear of the path of this known hazard? The industry has long stated that the ability to replace and hire qualified service technicians is a growing problem? How do we develop and attract the next generation of MEWP service to our industry and ensure that MEWPs are properly maintained and required? NEW requirements for a user to address access, preparation and maintenance of the site, as required, to include an assessment that the support surface is adequate to support the weight of the MEWP. How can the industry assist users with understanding and compliance with this responsibility? MEWP familiarization has long been a requirement that was too often misunderstood as MEWP training. Soon a user must request familiarization from a dealer to receive it and it must be provided to all operators prior to authorization to operate. How can we assist users and operators in understanding the value and compliance with this responsibility? Required inspections, such as operator daily prestart inspections and owner annual inspections too often fall short of compliance following OEM instructions. How can we assist both operators and owners to successfully meet their responsibility? A user’s safe use program includes the proper selection of equipment for the task. How can that occur if they are unaware of the options in the market for equipment and accessories to address the many challenges a job can require? 7 Innovation is only limited by our own thoughts? How could the development of certain ‘smart’ PPE technology help prevent certain known MEWP accidents from occurring?ex. Hard hats that help prevent crushing hazards, lanyards that notify the near public that a fall has occurred, etc. 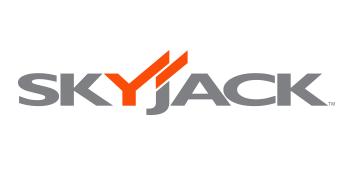 What can be done to ensure that all platform occupants are wearing required fall protection and are attached to the anchorage system that is provided with boom lifts while operating? 9 Is an operator trained before operating a MEWP? With MEWP rentals continuing to grow in the industry (over ownership), there is a continued need to ensure that operators are properly trained before operating takes place.Perhaps tech/innovation can help us here? The new requirement for anyone monitoring and supervising MEWP operators will require every MEWP user to get their supervisors trained by Dec 2019. How can the industry raise awareness and support their meeting this requirement? The IPAF North America Regional Council presented its first industry workshop event in Houston Texas October 16-17 and the new Innovate event received great reviews from the attendees. 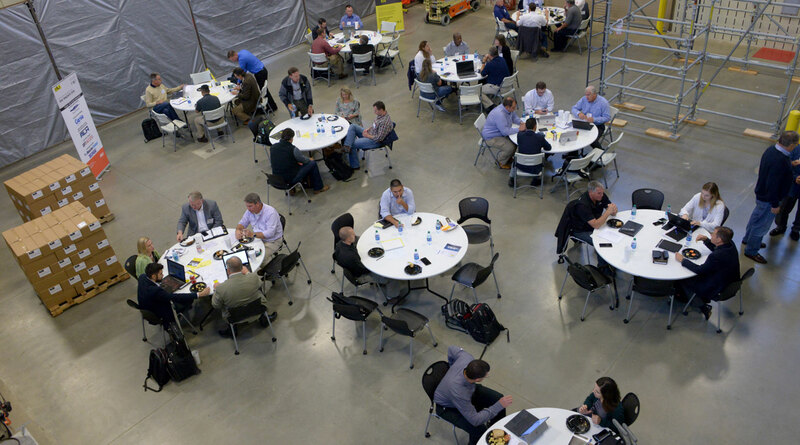 The event was open to all industry stakeholders – from CEOs to equipment operators or service technicians, from manufacturers to end users – and provided the opportunity to both share and listen to the ideas of others on key industry issues. For this inaugural event, ten different topics were identified, attendees preregistered to be part of one of the ten groups, and the first afternoon was a workshop format that allowed each group to collaborate on their chosen topic to decide on a key issue to address and develop a potential solution. Each group worked together for hours and developed solutions that were presented to all attendees the following morning. Boost your brand by being a sponsor of an IPAF event! 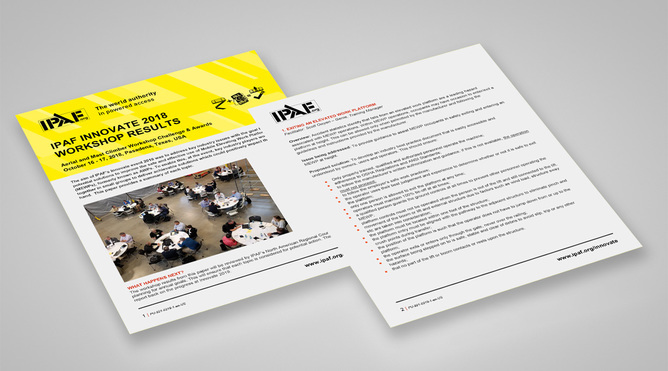 For sponsorship opportunities download the brochure or please contact Faith Cobaine on +44 (0)15395 66700 or faith.cobaine@ipaf.org or Tony Groat, IPAF North America Regional Manager on +1 5182802486 or tony.groat@ipaf.org.